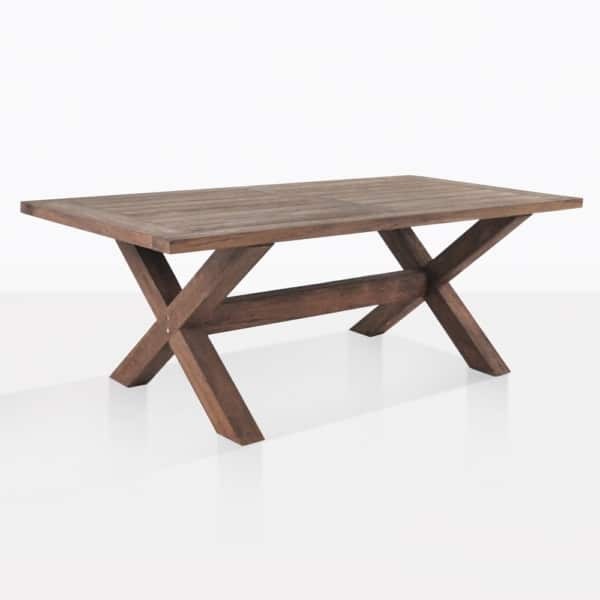 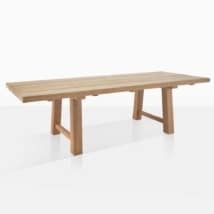 This stylish dining table is great for the indoors as well as out! 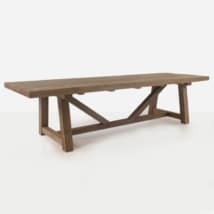 It is made of recycled teak wood, and is manufactured using all marine elements, so it can be left outdoors. 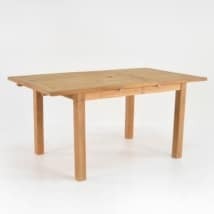 W39" x L79" x H29"
This farmhouse style dining table is great for the indoors as well as out! 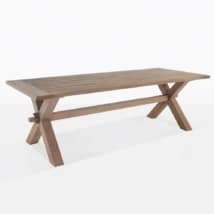 Made of rustic recycled teak wood and built using all marine elements, it can be used in gardens, on patios, or in any outdoor space.